Immersion, a San Jose-based company that has been developing haptic tech since 1993, has recently filed suit against Apple for intellectual property infringement. According to Immersion, Apple's recent iPhones and all of the Apple Watches infringe on not one but several of its haptic feedback patents. 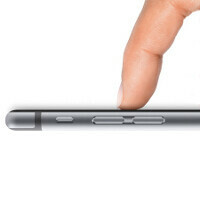 The plaintiff says that the 3D Touch / Force Touch system that Apple uses on the iPhone 6S, iPhone 6S Plus, and the Apple Watch, infringes on a patent for a technology called "shared feedback". The patent does not cover a method of recognizing the intensity of the touch, but it does specify how the software could show preview info through a light press from the user or take action through a firm one. The haptic technology licensor also says that all iPhones starting with the 6th generation and all three Apple Watch models make use of patented technology that describes how touch screens could offer "tactile sensations". Furthermore, Immersion says that these devices also infringe on a patent that specifies how devices could offer different feedbacks depending on the performed action. If Immersion is successful in its court battle against Apple, it will seek damages for intellectual property infringement. At the moment, the extent of these damages is unknown. Back in June 2015, Immersion announced that more than 3 billion devices across the globe use at least one of its haptic technologies. According to the company's official website, Immersion has more than 2,000 issued or pending patents. There's only one post I'm waiting for, and it'll be a long one. I think a simple "lol" suffices in this one. Patent trolls getting sued always makes for a warm day in the tech world. RoTfLmFaO . Good they deserve it. All of Apple's patents should be invalidated. Biggest patent trolls in history. All kinds of gadget companies across the globe should look what apple others patends using and they should do mass lawsuit against ape.. They need to feel how is it feel..
Steve Jobs 1996: "Picasso had a saying -- 'good artists copy; great artists steal' -- and we have always been shameless about stealing great ideas." Really? Why? The the if possibly got caught again? Would we be surprised if found to be true? Patent lawsuits don't help anyone but lawyers. We all know this! Yeah but its good to see Apple get a feel of its own medicine! :) Still i agree all this patent lawsuits is no good. to patent something you need to really invent something new not just impliment it in a mobile phone.. This post is way to short. What happened Techie, did you finally get a life? Yeah, we can hope that this brings an end to Apple getting patents to technologies that already exist, the amount they've gotten is silly. Heck we can hope this brings the whole patent thing into question so it can get reworked. Wow! another patent lawsuit. Many companies are now eager to sue apple after earning billions of dollars in profit. What's next? 4 speaker design from the ipad pro? THIS IS GETTING TOO OLD! They're just getting back the favors for their stupid rounded-corners lawsuits and a whole bunch of patents they stole...it's long been overdue. Wait isn't that what they essentially sued other manufacturers for? When apple do it its fine when other do it its getting too old.. pathetic! Here we go. If you sue Apple, you're a patent troll. Well, considering that nearly every patent Apple sued Samsung over had been invalidated... Samsung may have a larger patent database, because they're a much bigger company with hundreds more products. They also aren't suing for sales bans over shapes. But what if thats company as the patent for years and apple patent it again? they are right to do it? What if they patent an existing technology just because they put it in a mobile phone? Want to patent stuff invent fully new stuff and stop been a troll. Hahaha, apple is really getting a lot of it's own medicine lately...well deserved. This isn't the first time Apple is using other's technology without paying any cents. It is unfortunate that they always call these their own revolutionary innovations. Which technologies did Apple cal "their OWN revolutionary innovations"??? Please post links, and references to that technology including who actually developed it. Thank you.